Built for Industrial Use Superior resistance to the environmental contaminants with high heat dissipation and noise reduction. Bronze alloy worm gear is premimum strenght, lubricity and superior life. 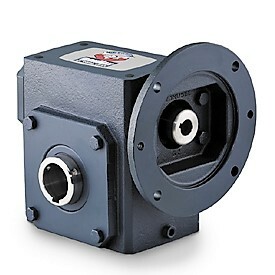 Tapered roller bearings on output shaft for high overhung load capacities. Factory filled with premium Mobil Glygoyle 460 polyalkalene glycol (PAG) lubricant.